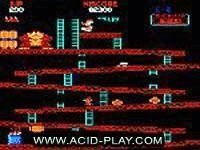 A cool game in which you play as a ninja who must battle through the Clouds Kingdom to meet his arch rival. 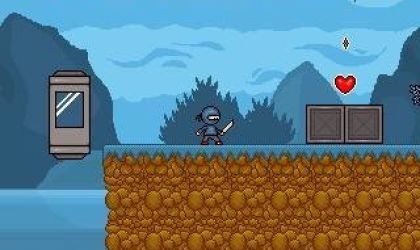 Clouds Kingdom 3 is a pretty cool game where you play as a Ninja and are on you quest to find Sinith Majoo, your enemy from long ago who banished you to the Cloud Kingdom. 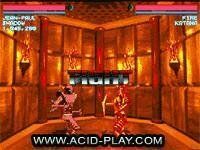 The game is quite simple and straightforward and is easily very enjoyable. The graphics in the game are quite simplistic but never do they look underdrawn. The ease on the eyes is quite well done as there is no extra information to digest; everything in the game is quite refined to make it as nice as possible to look at. The music and sounds are quite nice too, adding depth and even a certain kind of respectability to the game. 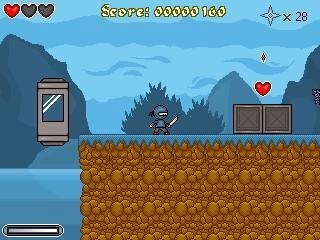 The sounds and music match the game play brilliantly, as the lone ninja on his quest you must use patience and timing and not lash out at your enemies. This kind of quiet dignity is rare in games and is pulled off with a great flare here. While the game does have its share of bugs, these can be quite easily overlooked for the most part and the qualities of the game itself shine through. In conclusion, this is a very enjoyable game which is suitable for almost any age group and can reach a very wide audience. At the start of the game, you see a very nice presentation that puts you into the game and its story. From that point on I was very motivated to complete the game. After the presentation you see a simple although great looking title screen. 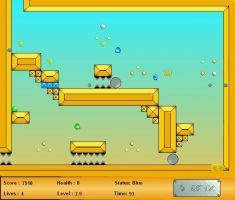 The first level in the game is a tutorial level. It explains all the basic moves in the game. The only thing that annoyed me is that it doesn't tell you or give you any advice on the strategy you should use to fight the robots, as that can be quite hard at first. 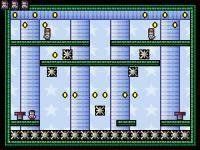 The game has several different environments, each one of them suits the game, the enemies also get harder and harder and as you learn to fight the robots without getting hit. It gets really fun! The graphics in the game are pretty simple, not awesome, but they're definately above average. 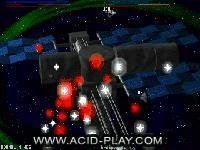 The backgrounds amazed me though, the paralaxing felt very realistic and smooth and it fitted in with the theme of the level. Although the replayability is low, even though there's an online highscore, Clouds Kingdom 3 is a great game! It's a good game but not excllent.